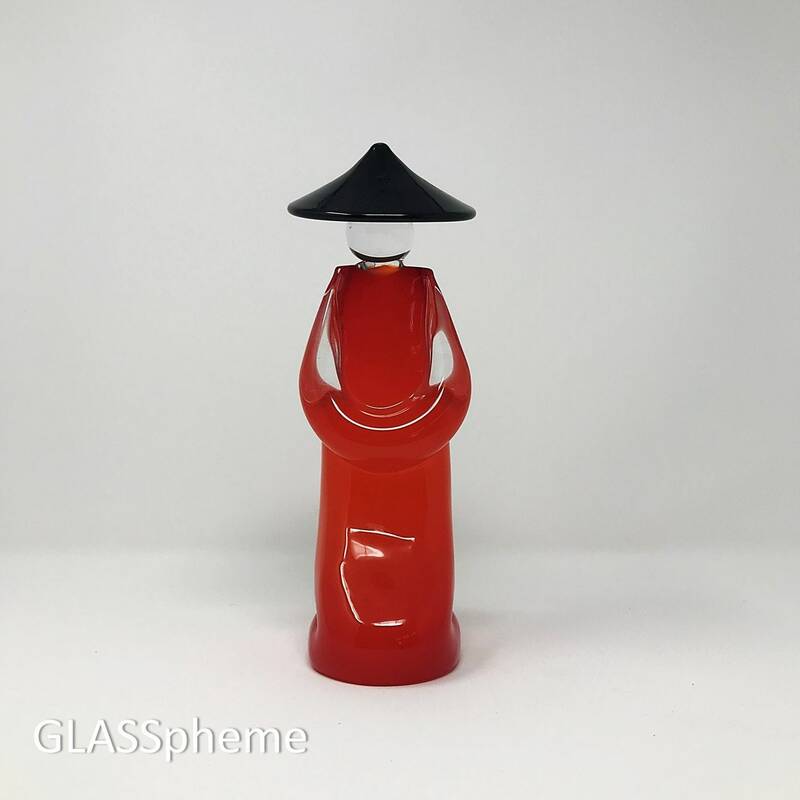 This Pino Signoretto interpretation of Archimede Seguso's Chinese farmer design is more abstract and stylized, but it too is a homage to simplicity, humility and grace. 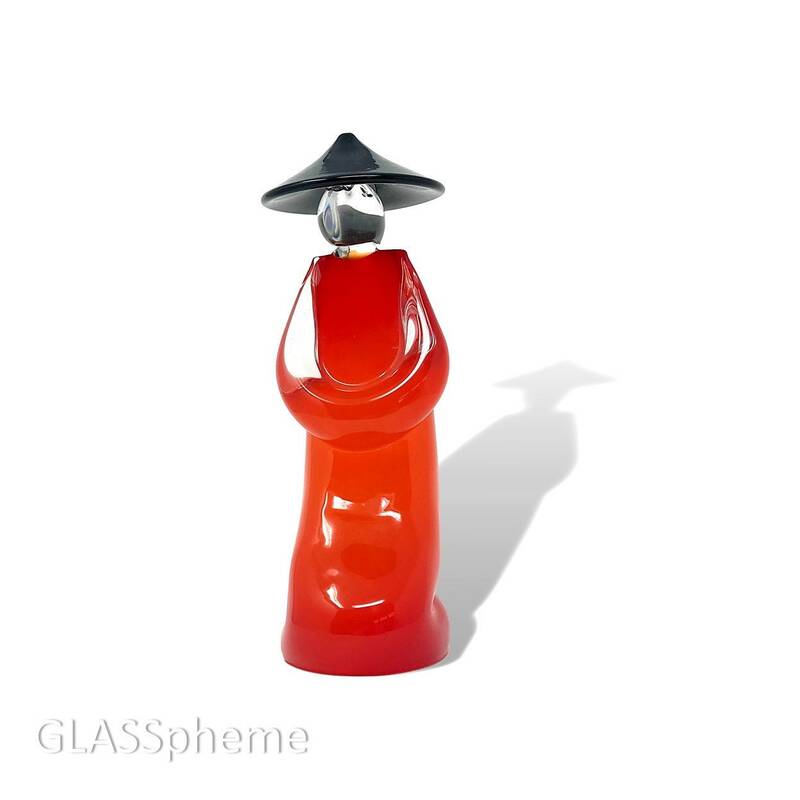 Signoretto's use of color--a deep almost liquid opalescent red-orange for the dress, offset by the black hat, and the clear glass arms, head and hair--however, jolts this iconic design and gives it a very vivid presence and modern texture. 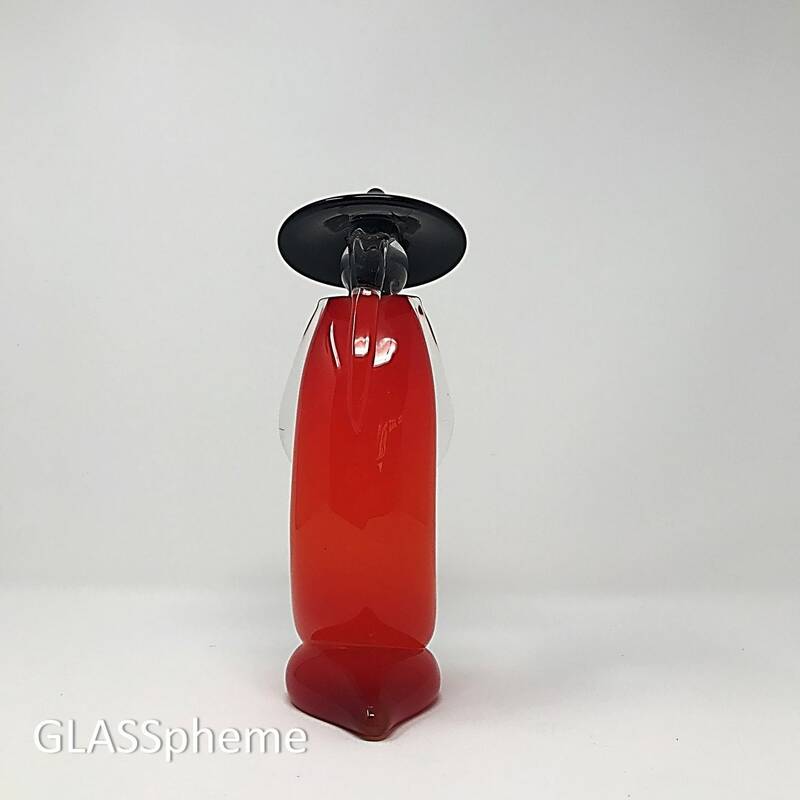 It's just GORGEOUS. 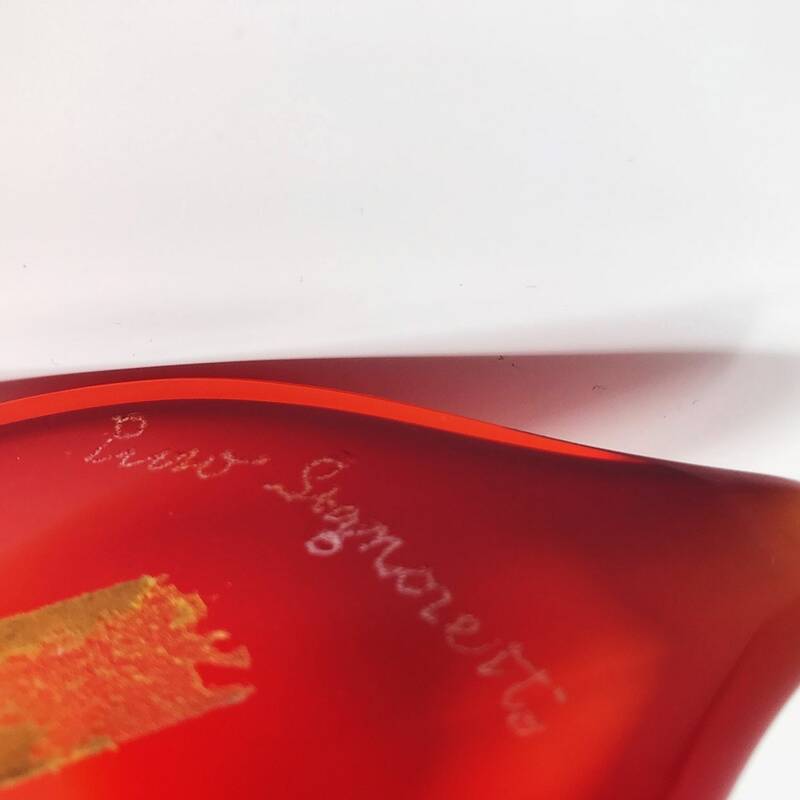 Pino Signoretto, who once worked for Alfredo Barbini and Liveo Seguso--and alongside Dale Chihuly--was widely considered to be one of the most important living Murano glass masters--if not the most important--up until his recent death (Dec 2017). 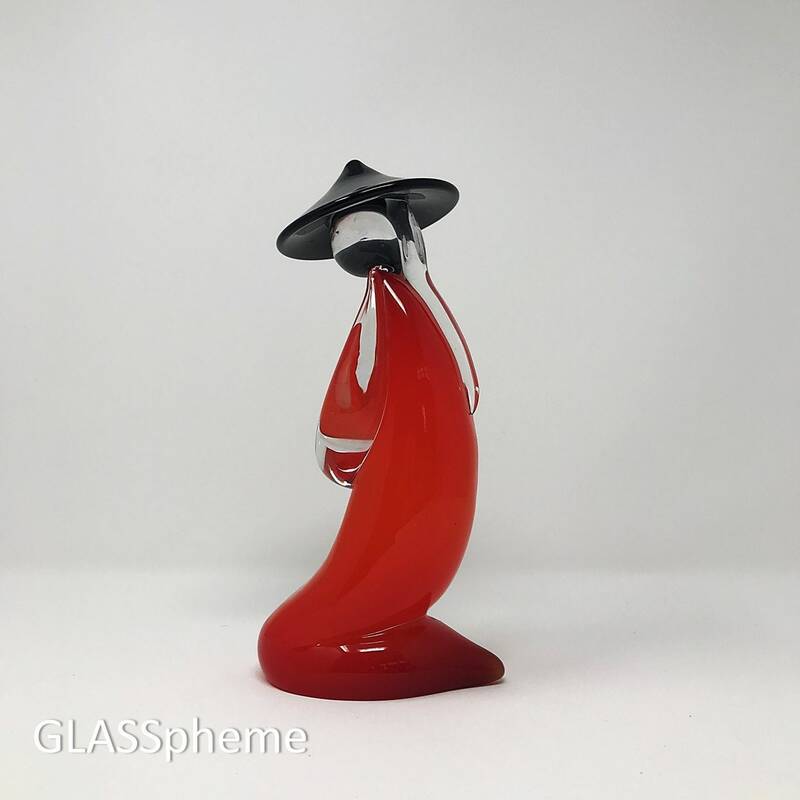 I believe we can date this piece to the mid-1980s as I found the exact same design done in a pink alabastro with a signed and dated certificate from Arte Murano Glass S.R.L. 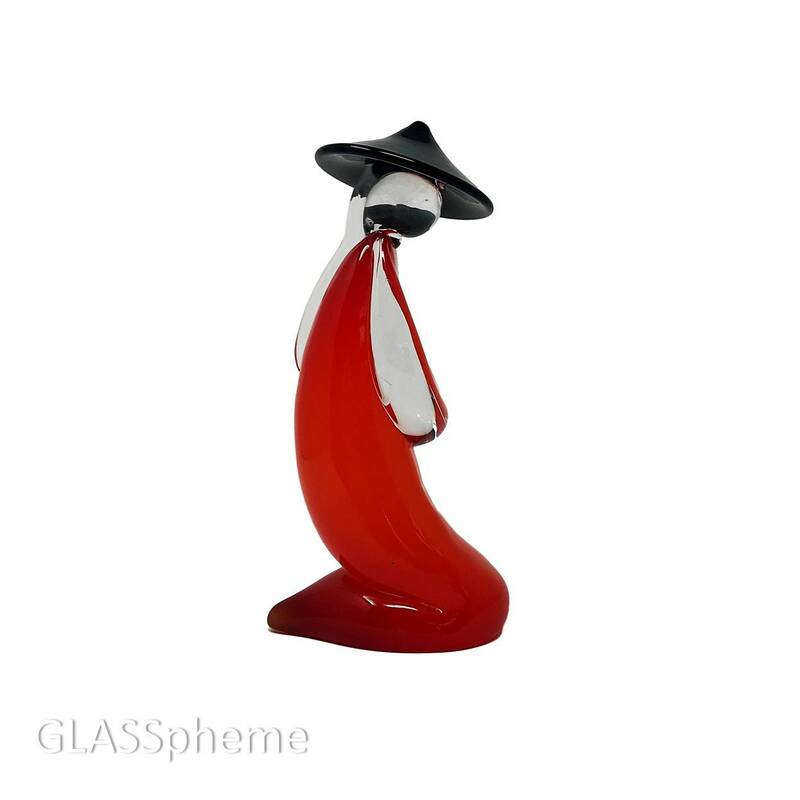 (See link: https://www.liveauctioneers.com/item/58680528_pair-large-murano-glass-figures-pino-signoretto) and there are so few to be found online that one would assume that they weren't produced very recently or en masse. The light base wear and yellowed paper label remnants seem consistent with this assessment.